Taken 3 is the third and hopefully final installment in the popular film series of French action-thrillers. 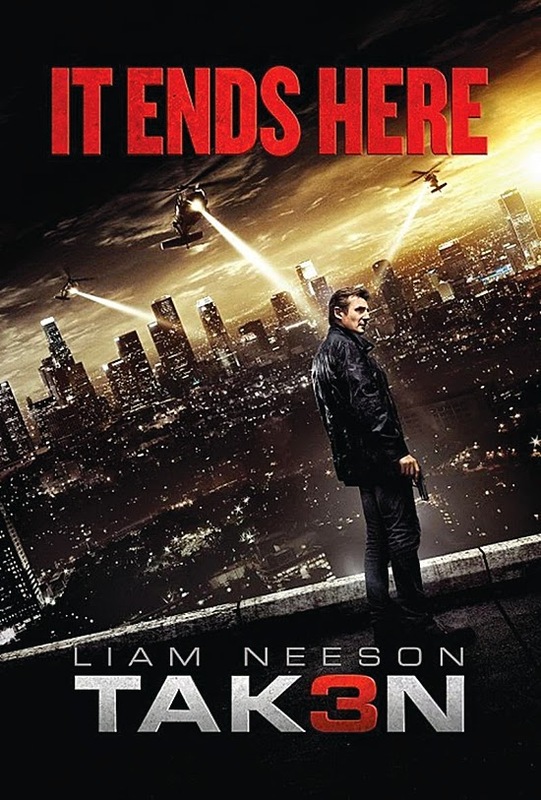 Liam Neeson returns to reprise his lead role as Bryan Mills, and Maggie Grace and Famke Janssen return as well, playing his daughter and ex-wife, respectively. Academy Award winner Forest Whitaker also joins the cast this time around. I am a big fan of the original Taken movie that came out in 2008. I thought it was an excellent action film driven by Neeson’s performance coupled with an intriguing premise. However, I thought that the 2012 sequel, Taken 2 was a horrible movie that didn't even come close to matching up with its impressive predecessor. With that being said, heading into the theater I was honestly just praying that in terms of quality, Taken 3 would at least fall somewhere between the two films that preceded it. I won’t spoil the movie with specific details, but the title alone suggests that as with the first two films, somebody is “taken” at some point in the story. To nobody’s surprise exactly that happens, relatively early on in the film. Soon, retired CIA agent Bryan Mills (Liam Neeson) is accused of a horrible murder that he didn't commit. He is immediately tracked down and chased by Los Angeles Police Department Inspector Franck Dotzler (Forest Whitaker) and all of his forces. Now, Mills must put his “particular set of skills” to the test in order to find out who the real killer is and subsequently clear his own name.